It is the way of things that genres arise from culture and philosophy, as well as from personal interpretions of that culture and philosophy. In the case of metal, we see its subgenres and styles mingling in different ways to different degrees of acceptance and satisfaction by audience, artists and critics. 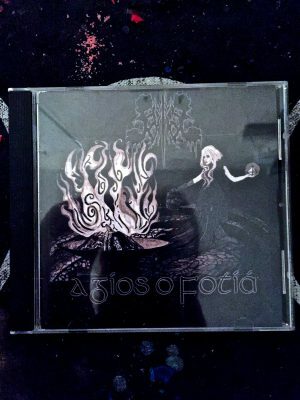 In the case of Serpent ov Old, this has taken the form of an amalgamation of black metal and power metal, which has surprisingly and graciously bypassed the technicisms of death metal. And while there is word of power metal taking up death metal techniques into its repertoire, the mainstay of power metal has never executed this transition. 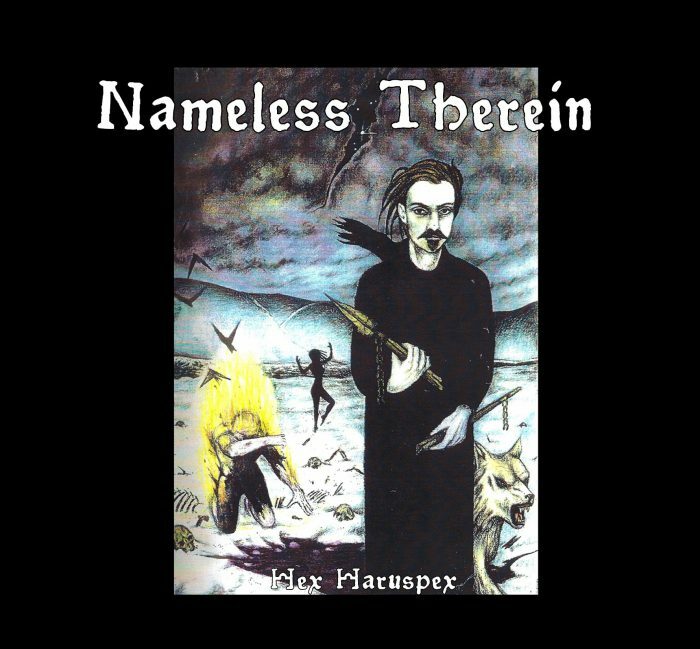 The truth of the matter is that the melodicity and emphasis on comprehensible chord progressions of power metal has more to gain from the elegant emphasis on melodies-made-flows that the best of black metal has mastered inwardly. At the same time, Serpent ov Old makes music that stands primarily as evocative music elevated above discussions on techniques or style, even if the techniques and ways of expression have been clearly adopted from the sources mentioned above. Serpent ov Old builds music by stating themes in the fashion of power metal, while balancing —purging— the saccharine effects by the application of black metal underpinnings in percussion, vocalization and guitar strumming. What we can hear is a music dominated by harmonic movement across which significantly active melodic lines move. Tension is built and released and then recaptured by both the melodic-harmonic interplay of lessons learned from black metal here, and those adopted from power metal there. Furthermore, the textural effects of the percussion and how these affect impulse, constriction and relaxation are taken primarily from black metal. The band makes this work by connecting power metal and black metal techniques to their common speed metal foundations, meaning that in many of the cases, the approach of the central riffing and percussion could fall into a nebulous area which both genres share in mature forms of speed metal, although this ambivalence is usually resolved towards black metal. As a whole, power metal is used as a bombastic paintbrush that allows Serpent ov Old to magnify the usually understated dramatism of black metal. All this has to be accomplished tastefully, and we never find a reliance on trope or techniques: compositions are driven by the central, “invisible” essence of motion and contrast, and fluctuations of power and direction, by and for which the instrumentation exists. The “shredding” abilities of the guitarists in this work are used much in the same way that Trey Azagthoth’s atonal noise solos ripped through old Morbid Angel songs: as hyeroglyphs rather than as pretentious elaborations. These are to be taken as impressionist impressions, and should not be confused as baroque virtuosic displays, for such scale-based quasi noise shreds lack the self-sufficiency of the proper baroque solo instrument that we would hear in a work for viola da gamba by Marin Marais, for instance. And as one listens to the music more and more closely, subsequent spins allow the listener to perceive these relations properly, allowing them to see where the backbone is located, and how the peaks and valleys are formed by the creators of this landscape of poetic rashness. The music of Serpent ov Old is fierce romantic dramatism akin to powerful forces of nature that destroy yet also create. By adopting and moderating the extroverted expression of power metal and delicately subsuming it under black metal, Serpent ov Old makes the music genres escape the narcissistic trap and makes them serve a transcendent expression of inner experience. Furthermore, this profound experience, if authentic, is one of darkness and anguish; but which darkness and anguish, if contronted and assimilated unto individuation, can presumably lead to the creation of a new type of being. However, the music is still limited by this personal flavor, which still tends to be merely inward looking, but not yet deep enough that a new space is opened up through the self as a gate. We may say that this is ultimately a question of personal experience, reflection and individual meaning. But ultimately, as music, it must be able to develop the ability to somehow come up with an aural language that can communicate a general intimation of what is presenced from beyond. Note: We might yet see Withering Hope released under the banner of Deathwave Nexion. We are witnessing the rise of a label that, on the one hand, boasts of being led by personel experienced in different spheres of nefarious action on the ground, and that on the other, shows itself selective at both musical and ideological levels. The conjunction of these creates a unique opportunity seldom seen in the history of metal, a genre in which great artistic potential has been squandered by a lack of comprehension of what is being ultimately held in one’s hands. Deathwave Nexion promises to be one of the first loci of mature metal cultivation on North American soil. We see a far-reaching influence and presence stemming from a source that appears more monstruous the more one looks into it. In its train, the opening of mainstream operations by the nexion has brought to our ears the Hvile I Kaos’ first full album —a grand opening indeed. For precise descriptions, Hvile I Kaos can be considered a chamber music ensemble, the music of which circles around the cello as the main instrument. As per classical tradition, it is indeed the wielder of the central instrument who leads the ensemble. He is as well the composer of these evocative pieces, to which the rest of these talented musicians contribute their own interpretations and idiosyncracies. The music is, to this writer’s amateur ears, modernist acoustic arrangements built on popular and folk melodies, but taken to a singular level of development in composition where they escape their roots and become the means with which the artist carves forth a new path. It is tempting, and perhaps not wholy unjustified to liken this to soundtrack music, although as far as that music goes, the generalizing comment does Agios O Fotiá a great disservice. As one follows the opening ‘populisms’ of the music, a joyous Pagan defiance that summons Life as much as it does Death communicates the unabstracted existence of human beings in a reality that is truly beyond these illusory poles —in reality, states of being distorted by blundering mundane minds. A hidden, but effective power of manifest action and the bringing about of evil, not in the form of mythology as in the olden days of underground metal when daydreams and blurry visions led the way, but of an accumulated range of experiences that condense into the sonic efluvion that acquires depth by virtue of hindsight into concrete events. While this music is somewhat derivative in terms of expression, and may artistically show an imitative character of pre-established tropes, great acumen is shown in narrative elaboration, attention to detail —not to mention an intense emotional, even psychical, connection to more than simply music: this is art that extols visceral terror. The sensation is not unlike the immediacy and premonition of survival in danger that the neophyte might feel upon repeatedly calling on Shaitan while uttering his name and beholding his sigil. This is the plain, subtle and direct elating sensation of the edge of a cold blade; the living of eternity in moments of unsurpassed focus and clarity through sheer horrific ecstasy. The reader on whose ears these words find a welcome reception, will perhaps take them as a salutary note for those who need no further justification for self-overcoming. As enactment of magick, a sword of death, Hvile I Kaos’ present, and hopefully its future, work has a transformative effect over those capable of raising themselves above themselves. Let its passionate music fill your heart, listener; let its muliebrial spectre haunt your wake and your dream, seeker. I for one never cease to long for its embrace. 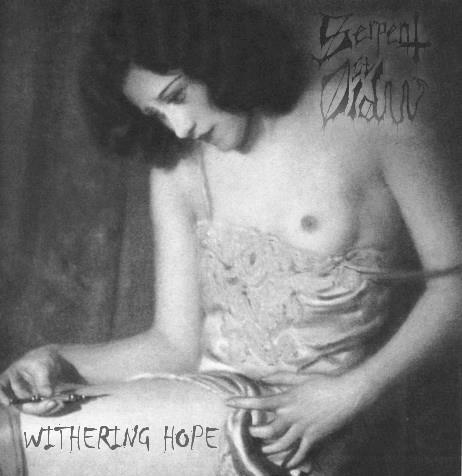 Recommended works: Decieveiron – Decieverion (2012); and Serpent ov Old – Withering Hope (2012). We must also emphatically commend the new single by Serpent ov Old in 2018, a preview of their next album to be published through Deathwave Nexion. 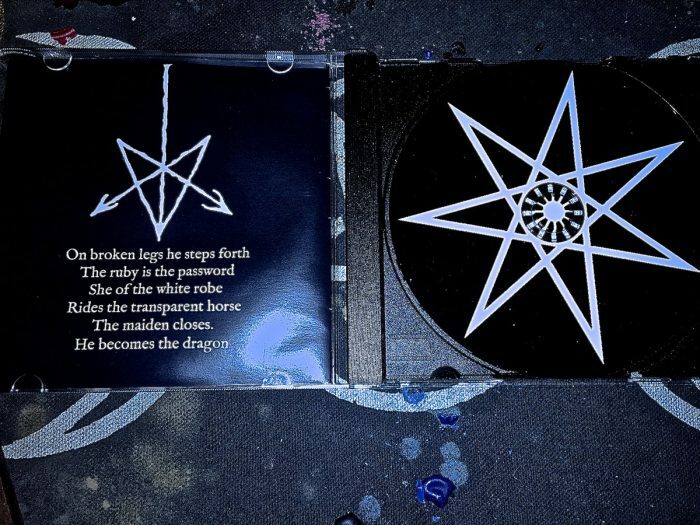 The band has ascended through their own style to a new stage of coalesced beauty and virtuousic emotionality tempered by its dignified adoption of black metal.